The Apple Tree first appeared in Harper's Bazaar (November, 1902). Sam Maddox's house was like a glaring blot on the tidy New England landscape, for the very landscape had been made to bear evidence to the character of the dwellers upon the soil. There was no wealth in the village, there was even poverty, but everywhere thrift and making the most of little, bringing out of humble possessions the very utmost that was in them for beauty and utility. When a house was scarcely larger than a child's toy it was white-painted and green-blinded, with windows shining like jewels; when there was only a little patch of yard, it was gay with flowers or velvet-smooth with grass; before it was a white fence or a trim green hedge, outside was a row of carefully tended trees. But Sam Maddox's house, unpainted since it was built, and that was nearly a hundred years since, sagging as to its roof and its sills, with a scant and ragged allowance of glass in the windows, with the sordid waste of poverty in shameless evidence around it on all sides, stood in a glaring expanse of raw soil, growing only a few clumps of burdocks, and marked in every direction with the sprawling tracks of omnipresent hens. In the first hot days of May this yard before Sam Maddox's house was a horror, actually provocative of physical discomfort to a sensitive observer. The sun lay on the front of the Maddox house and its yard all day; every detail of squalor, so extreme that it reached the limit of decency, was evident. Passers-by turned aside; even the sweet spring air was contaminated to their fancy; for it was not in reality; it was only that the insult to one sense seemed to imply an insult to another. In reality the air was honey-sweet; for there was no crying evil of uncleanliness about the place, and in the midst of the yard was a whole bouquet of spring. That was the one redemption of it all. Often one, after looking away, unless he was carping to stiff-neckedness, would glance backward, and the sight of the apple tree would serve as a solace to his very soul, and beauty and the hope of the resurrection would vanquish squalor and the despair of humanity. There was never a more beautiful apple tree; majestic with age, it yet had all the freshness of youth and its perfection. Not one dead branch was there on the tree, not one missing from its fair symmetry. The blooming spread of it was even to the four winds; it described a perfect circle of wonderful bloom. The blossoms of this apple tree were unusually rosy — they were as deep as roses, but with shadows of pearl — and the fragrance of them was exhaustless. The whole tree seemed to pant, and sing, and shout with perfume; it seemed to call even more loudly than the robins that lived in its boughs. The tree was utter perfection, and a triumph over all around it. On the day in the month of May when the tree was at its best, Sam Maddox sat in the doorway, and his wife Adeline rocked back and forward past the open window. A baby wailed in her lap; she held a cheap novel over its head and read peacefully, undisturbed. Four more children pervaded the yard, their scanty little garments earth stained, their faces and hands and legs and feet earth stained. They had become in a certain sense a part of the soil, as much as the weeds and flowers of the spring. Their bare toes clung to the warm, kindly earth with caressing instinct; they grubbed in it tenderly with little, clinging hands; they fairly burrowed in it, in soft, sunny nests, like the hens. They made small, inarticulate noises, indicative of extreme comfort and satisfaction, like young which are nursed and coddled to their fill. There was very little strife and dissension among the Maddox children in spite of their ill-repute and general poverty and wretchedness. The Maddoxes were pariahs, suspected of all sorts of minor iniquities, but in reality they were a gentle, docile tribe, whose gentleness and docility were the causes of most of their failures of life. Sam Maddox and his brood, lacking that of comfort and necessaries which they saw their neighbors possess, never thought of complaining or grasping for the sweets on the boughs behind their wall of fate. They settled back unquestioningly on the soft side of their poverty, and slept, and smiled, and were not unhappy. Over across the road Mrs. Sarah Blake cleaned house. She was small and weak-muscled in spite of her life of strenuous toil, which had bent her narrow back and knotted her tiny hands without strengthening them. She staggered out into the hot May sunlight with a great feather bed, tugging it with a grip of desperation on the slack of one end. She dumped it into the midst of the green expanse of her front yard, between a tossing snowball bush and a syringa on one side and a strip of lilies-of-the-valley on the other; then she beat it with half-futile fury, assailing it like a live thing with a cane which her husband had used to walk abroad the year she was married, half a century ago. Sarah Blake was an old woman, although she had never confessed it, even to herself. Her two children were dead long ago, after they were women grown. 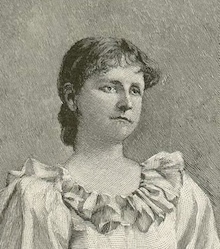 There was no one except herself and husband, and Edison Blake was much older than she, stronger of body, though with less vigor of mind. All the morning she had been striving in vain to whip up old Edison to the point of enthusiasm in house cleaning. He was lukewarm, not openly rebellious, timid, but covertly dissenting. Whenever her back was turned and she presumably out of hearing, old Edison, who had been considered unregenerate in his youth, would say something under his breath, and then glance apprehensively around, and then chuckle with defiance. “What you want to hear for, if it's somethin' you think wa'n't right?” inquired old Edison, with a feeble growl of self-assertion. “I want to know,” said she, ignoring the point of his remark. “I didn't say much of anything,” he hedged. “I said goll durn it, then, if you want to know,” burst forth old Edison, with the fury of desperation. Old Edison was meek and always in a state of chronic intimidation by his wife, but all things have a bay. Old Edison could find his. He did now. He faced his wife Sarah. “It ain't likely, whatever is goin' to become of me, I'm goin' where there's house cleanin', anyhow!” said he. “It'll have to be pooty goll durned bad to be any worse,” said old Edison. He looked steadily at his wife. She yielded, beaten by masculine assertion. She essayed one stony look of reproof, but her pale-blue eyes fell before the old man's, full of shrewd malice and quizzical triumph. She tossed her head and went out with her limp calico skirt lashing her thin ankles in a gust of spring wind. “When you get that winder finished you can come out an' help me shake the braided mat,” she called back. She knew that would depress the victor, for she was merciless and miraculously untiring when it came to shaking a mat; she would not release the sufferer at the other end until not an atom of dust clouded the air. This time, however, fate, although an untoward one, interposed. Old Edison stepped in a chair to facilitate the process of cleaning the upper panes of the window, and the chair, dating back to the period of his wife's mother, and having seen better days as to its cane seat, and the old man being heavy, succumbed, and old Edison came with a jolt through to the floor. The thud brought in his wife Sarah, pale and gasping. When she saw her husband standing there in the wreck of the chair she stared a moment, then she spoke. Old Edison was holding to his head in a dazed fashion, not offering to move. “Now you've gone an' done it, Edison Blake!” said she. “It give way all of a sudden an' let me through, Sarah,” said old Edison, feebly. There was, directly, no doubt that it did. Old Edison turned a ghastly, appealing face toward his wife, who promptly advanced, scolding the while, and strove to extricate him from the broken chair. But that was beyond her strength, and old Edison was unable to help himself, although he was not unconscious. He continued to make feebly deprecatory remarks as he failed to respond to his wife's futile efforts. Finally Sarah Blake made an impatient exclamation. “Well, I ain't goin' to work this way for nothin' any longer,” said she. Then she was gone, not heeding the weak inquiry as to what she was going to do which her husband sent after her. Sam Maddox raised his shaggy, blond head, and brought his pleasant blue eyes and pleasanter gaping mouth to bear upon her. “Hey?” he said, inquiringly, with a long, husky drawl. Sarah Blake repeated the burden of her speech with furious emphasis. “You want me to come over and help git him out?” said Sam Maddox. Adeline Maddox had come to the door, and the small baby in her arms was uttering wails of feeble querulousness unheeded. “Is he hurt?” inquired Sam Maddox, with some interest. “I'll come right along,” said Sam Maddox, and straightway rose with loose sprawls of ungainly limbs. He seemed a kindly and ineffectual giant when he stood up; he had doubled up an enormous length of limb in his sitting posture. Sam Maddox followed, with long, languid strides, Sarah Blake, who hopped on before him, like a nervous bird, across the street. After them streamed the Maddox children, a white-headed, earth-stained troop; in the rear of all came Adeline Maddox, her paper novel fluttering, the small baby wailing, her yellow hair flying in strings. “There ain't no need of the whole family,” Sarah Blake called out sharply once, but they came on smilingly. Poor old Edison Blake was sitting on the ragged edge of the broken chair when they arrived. “I swun!” said Sam Maddox, when he caught sight of him. He lifted him out bodily and laid him on the lounge, and Sarah got the camphor bottle. She was not in the least alarmed. “He come down pretty hard, and his head wa'n't never very strong,” she said. She bathed his forehead with the camphor with hard strokes; she got it in his eyes, and she pushed back his hair remorselessly. “Keep still. I'm goin' to see to it that you git enough camphor to do some good,” said she, firmly, when old Edison pushed her hand away from his smarting eyes. “You're gitting of it in my eyes, Sarah,” he remonstrated, meekly. All his spirit was gone, between the hurt to the chair and himself. “You keep still,” said she, and old Edison screwed his eyes tightly together. His color was fast returning. He was evidently not much the worse, but he groaned when his wife inquired how he felt now. “We've got somethin' to do beside rest over here,” replied Sarah Blake, with unmistakable emphasis. Sam Maddox smiled, and Adeline smiled foolishly and sweetly. They appreciated the sarcasm, and took it amiably. However, old Edison groaned again, and Sarah left him in peace on the lounge, when the Maddoxes streamed homeward across the street, and she returned to the yard to resume her struggle with the feather bed and the mats. She was somewhat at a loss when it came to the braided mat which belonged in the sitting room. It was a large mat, and very heavy. She strove to lift it; she could scarcely do that. She strove to shake it; as well try to shake the side of the house. She eyed it as if it were some refractory animal. The negative opposition of inanimate things always filled this small, intense woman with fury. She let the mat slide to the ground; she gave a weary and angry sigh. Then she looked across the street. There sat Sam Maddox on his doorsteps, lazily regarding her. He had certainly seen her helpless effort to shake the braided mat. She stood eyeing him for one minute. Then across the street she marched. She stood before Sam Maddox, electric, compelling, this small, delicate old woman before this great, lumbering giant of a man. “Sam Maddox, I'd like to know what you mean?” said she. He stared at her. “Hey?” he said. “I dun'no',” said Sam Maddox. Sam Maddox hitched. His wife, Adeline, with the baby, came slowly to the front; the earth-stained children gathered round. “What did you s'pose I was goin' to do?” queried Sarah Blake. Sam Maddox looked at her with the perplexed stare of a good-natured dog trying with the limitations of his doghood to comprehend a problem of humanity; then he murmured feebly again that he didn't know. “And me with my husband laid up with falling through one of my mother's nice cane-seat chairs that she had when she was married!” said Sarah Blake, further. Adeline, who was weakly emotional, wiped her eyes. Sam Maddox, feeling it incumbent upon him to make some response, and finding speech inadequate, grunted. “Well, ain't you goin' to do nothin' but sit there and stare?” demanded Sarah Blake, with a sort of cold fury. Sam Maddox rose and shuffled before her, as if essaying a dance. “Do go over there an' help her shake her mat, Sam,” sniffed Adeline. “I'll make it wuth your while,” said Sarah Blake. Sam stopped and eyed her doubtfully. Sam settled loosely on to the doorsteps again; a look of evanescent firmness overspread his face. “I ain't workin',” said Sam Maddox. “He means he don't do no work for money. Don't you, Sam?” inquired Adeline, tearfully. The baby whimpered, and she dandled it with no enthusiasm. “He won't work for pay?” inquired Sarah Blake, dazedly. “I don't shake mats for old women for no pay,” said Sam Maddox, with who could tell what species of inborn pride or generosity? “You think we ain't able to pay you?” asked Sarah, jealously. Sam rose again, and slouched across the road in the wake of the little, vociferous, indefatigable woman. He looked, this great, loosely built, ineffectual, blond giant of a man, the very antipode to the woman snapping with her overplus of energy, as she led the way to the scene of labor. He might have been an inhabitant of another planet. Now, indeed, came a time of trial to Sam Maddox. From where he toiled, in the Blake yard, he could see, like a vision of a lost paradise, his old comfortable doorstep, the doorpost which leaned luxuriously to his back, the warm sunlight which overspread the whole place like a sea of blessing. The clamor of the happy children playing about with an incessant enjoyment of youth and life was as pleasant to him as the hum of bees. Adeline rocked ever back and forth past the window with an inertia of peace, and the great apple tree perfumed and irradiated the whole. Sam Maddox glanced scornfully at the small, reluctant pear tree in the Blake yard. “Your pear tree don't amount to much, does it?” said Sam Maddox. “Ain't never tetched my apple tree,” observed Sam Maddox, with unusual pride. Sarah sniffed. “Well, I suppose the Lord looks out for trees, the same as he does for folks, when they ain't got anybody else,” said she. “It's a pretty handsome tree,” said Sam Maddox, ignoring the sarcasm. “I didn't s'pose you did make pies,” said Sarah, and she sniffed. “I never see blooms so pink as them,” said the man, gazing with the expression of an artist at the tree. “I don't care nothin' about blooms; it's apples I'm arter,” said Sarah. That was a red-letter day for old Edison Blake. He fell asleep on the sitting-room lounge, and when he awoke was fully aware that the dizziness in his head was gone. He felt guiltily that he ought to rise and resume his labor, but he could not resist the impulse to remain in his comfortable place a little longer. Sam Maddox passed the open window with a braided mat over his shoulder. Old Edison heard his wife's sharp voice of direction and admonition. “She's got Sam Maddox helpin' her,” he reflected. He knew how small an opinion his wife had of Sam Maddox; he knew that he ought to rise, but he lay still. Pretty soon Sam entered the room for a brush. Old Edison lay with eyes wide, open regarding him. Sam paused and stooped over him. Old Edison closed his eyes in affirmation. Old Edison looked at him with intensest gratitude; an expression of bliss overspread his face. He smiled the smile of a contented baby. “Just go to sleep ag'in,” said Sam Maddox. Old Edison closed his eyes. When Sam Maddox emerged from the house, Sarah Blake inquired how her husband was. “Looks pretty slim to me,” said Sam Maddox. “Guess he can keep still enough,” said Sarah. Pretty soon she went in to peep at old Edison. He lay drawing long, even, whistling breaths. When she went out of the room he gazed after her from the corner of one cautious eye. Sam Maddox worked all that beautiful May day for Sarah Blake. She was the hardest, and, in fact, the only task mistress of life whom he had ever known. Sam had lived somehow without much work. He owned his poor house and lot and apple tree. People who pitied the children of the irresponsible pair assisted them. Once in a while he went gunning and fishing. Somehow they lived and were happy. When Sam Maddox went home that night, the oldest girl had dug a mess of dandelions, and there was a parcel of cress from the bank of the brook. Somehow there was a loaf of bread, and molasses, and tea. Sam had no idea how they were procured, but there they were. They all ate and were thankful. After supper, in the delicious cool of the day, Sam sat on the doorstep. Adeline put the baby to bed, then she came and sat by her husband's side, her elbows on her knees, her delicate chin in her hands, and her sharp, pretty face upturned toward the ineffable clear pallor of the sky. 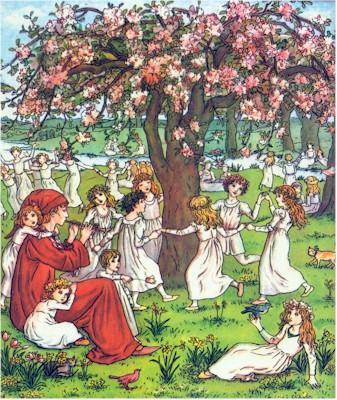 The children had subsided, and were grouped in a charming little cluster like a bunch of flowers in the yard under the apple tree. And the apple tree was a mystery of whiteness and ravishing fragrance. In the day it had been simply a magnificent apple tree; when the shadows came, it was something more. Sam Maddox gazed at it, and the breath of it came over his senses. He looked across at the Blake house in its tidy yard. There was a light in the sitting room, and a small figure bustled back and forth incessantly past the window. Now and then a larger, taller shape lumbered before the light. There was a sound of a hammer and a sharp voice. “Old Edison, he's had one day off, anyhow,” chuckled Sam Maddox. He stretched his great limbs, which ached with the unaccustomed strain of the day's toil. He continued to gaze reflectively at the Blake house. “Dreadful clean over there,” he murmured. “S'pose so,” asserted Adeline, indifferently. There was an angelic expression in her face, upturned toward the sky. Possibly her imagination, from the slight stimulus of a third-rate novel, was making a leap out of her surroundings. “Says she cleans house once a month from now till Thanksgivin', on account of the dust, an' the winders havin' to be open so much,” said Sam Maddox. Then Adeline looked with strong disapproval across at the Blake house. “Doggin' round all day,” said she. “What's the use? It gits dirty again,” said Adeline. “That's so.” Sam looked again at the great apple tree. “Mighty handsome tree,” said he. Adeline looked and smiled. Her face was really beautiful. “Real handsome,” said she. “I don't see no use in waitin' for Thanksgivin', fussin' and cleanin' an' cookin'. I don't see why we ain't got Thanksgivin' any time right along any time of year,” said Sam, thoughtfully. “That's so,” said Adeline, nodding happily. Sam nodded, still with tender eyes on his wife's face. The wind blew, and a wonderful breath of fragrance came from the apple tree, and they inhaled it. “Lord! it's a dreadful pretty world, ain't it?” said Sam Maddox, and on his face was a light of unconscious praise. “Yes, 'tis,” said Adeline, and her face looked like her husband's. The splendid apple tree bloomed and sweetened, and the man and woman, in a certain sense, tasted and drank it until it became a part of themselves, and there was in the midst of the poverty and shiftlessness of the Maddox yard a great inflorescence of beauty for its redemption. Add The Apple Tree to your own personal library.